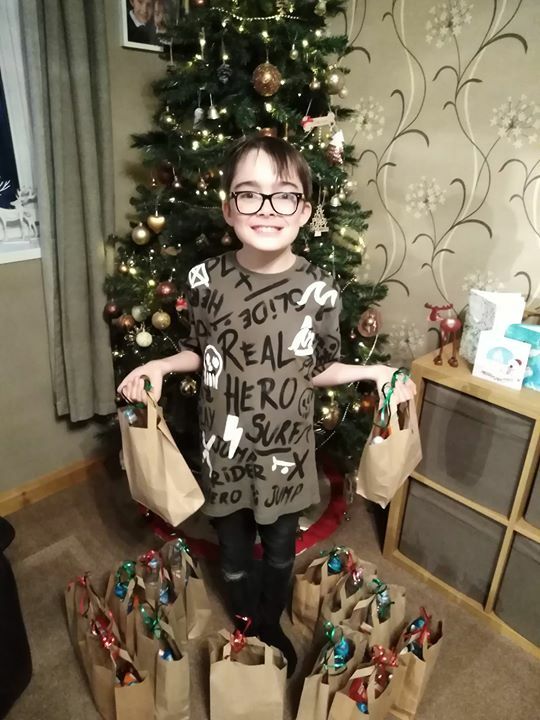 A West Hallam boy has shown the true spirit of Christmas after saving up his pocket money to make up gift bags for homeless people. Zak Martin has spent weeks saving his pennies and now has 15 bags to give out to people living on the streets in Derby. The 10-year-old decided in the summer that he wanted to help after watching a video on YouTube about helping the homeless. Each bag contains a bottle of water, a toothbrush, toothpaste, biscuits, a cereal bar, a chocolate bar, a packet of crisps, tissues and a Christmas card. His parents Danny and Amy, who also have a 7-year-old daughter Paige, said they were very proud of him.